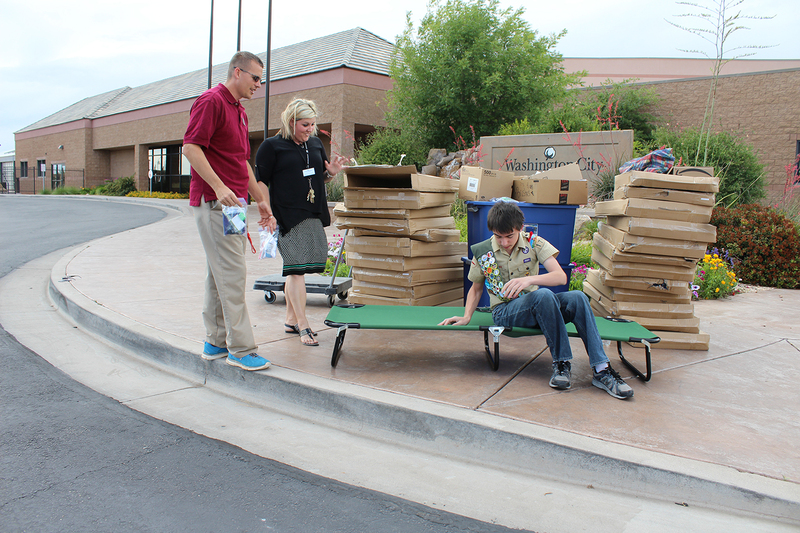 WASHINGTON CITY — A local Boy Scout donated 26 cots and 200 comfort kits to the Washington City Community Center Wednesday as part of his Eagle Scout Project. 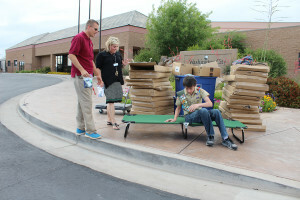 Jackson Ouzts, a 13-year-old from St. George, has been working on raising money and supplies for the Community Center for the past eight months. He raised $1,100 to spend on supplies to donate to the Community Center and dedicated about 52 hours to the project. Ouzts said he got the idea for the project from asking around about what needed help in the community. He eventually got in touch with Wendi Bulkley, Community Center director, who told him what the center needed in case of an emergency. Bulkley said the Community Center recently got certified with the state and has partnered with the American Red Cross to be an emergency shelter. Since then, they have been working on gathering supplies to help 1,000 people in the event of a disaster. With this donation, Bulkley said, they have reached their goal of having 1,000 comfort kits, and the Community Center has their first cots. Now, the center is looking for donations of clothing, blankets and pillows, especially, she said. Besides Ouzts’ project, two other Scouts have made the Community Center the target of their projects this year, Bulkley said. 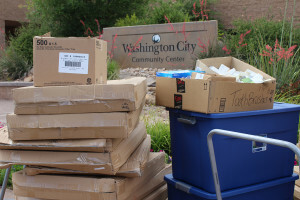 Paul Dunsdon, disaster program manager with the Red Cross, said comfort kits are important because they provide basic toiletries that most people forget when they leave home in an emergency. The kits Ouzts provided contain items such as toothbrush and toothpaste, deodorant, shampoo and soap.